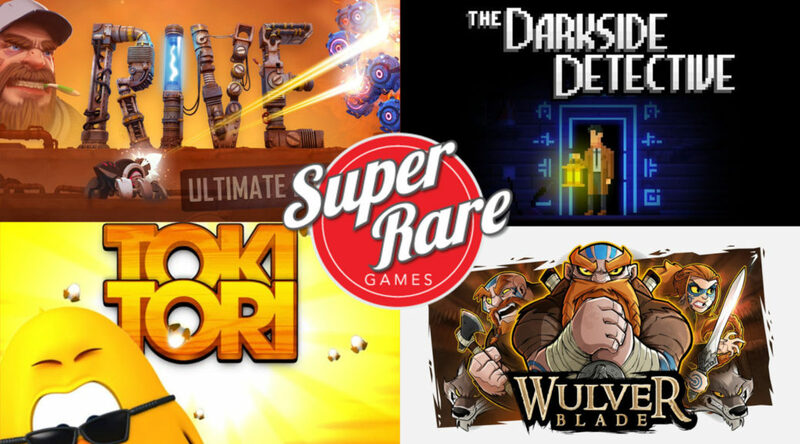 Earlier today, we reported that Super Rare Games was giving Earthlock the physical treatment. In addition to that, however, the publisher also revealed they will be publishing even more Switch titles in physical form! Suprise! We are announcing 6 new games today! Up first…. The intense SHUMP from the amazing @TwoTribesGames… RIVE Ultimate Edition gets a physical Switch release. The perfect send-off to the studio as this is there last ever game! Two games in one! We have bundled all the Toki Tori Games onto one cartridge. This puzzle/metroidvania is a must have for your switch! This release will contain both of Toki-Tori's adventures as one release. Point and Click fans are in for a treat, the critically acclaimed 'The Darkside Detective' is getting a physical switch release! Solve the mysteries of Twin Lake City as Francis McQueen. Check out @spookydoorway , creators of this gem! Last, but certainly not least, Wulverblade hacks its way into a physical release. We are excited to bring this incredible beat-em-up to the physical realm. @michaelheald + @DarkwindMedia poured their heart and soul into this project! For now, there are no release date or pricing details. We’ll report back once Super Rare Games offer more information in the future.